The Newest Rant: Flashback Friday: Modok's 11. Super Villain Team-UP: Modok's 11. Modok is one strange guy. 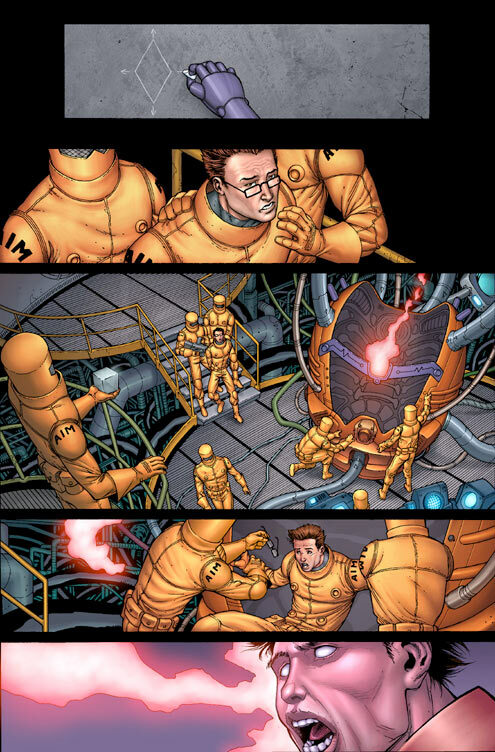 Also known as M.O.D.O.K or the "Mental Organism Designed Only for Killing," he is essentially a gigantic floating head that was made by the science-terrorist organization AIM--or "Advanced Idea Mechanics"--and at various times he has led this group or worked against it. In the current Marvel comics he is apparently now a regular guy again, but this was back when he was still a good ol' huge noggin. How can you use a character so silly? 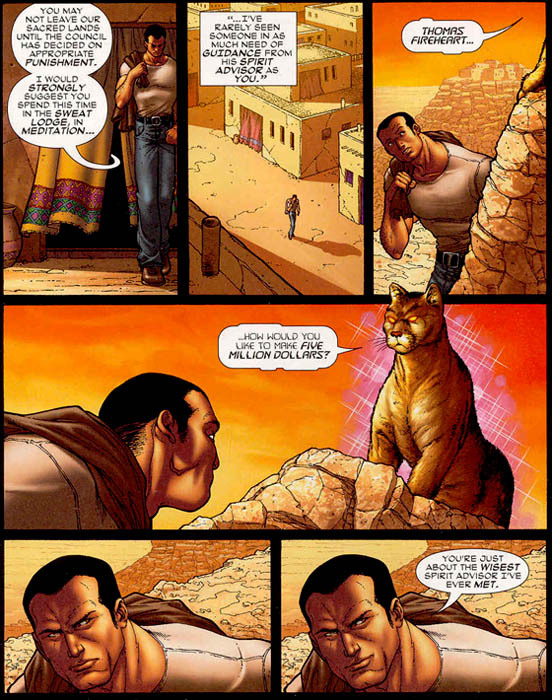 Well, if you are writer Fred Van Lente you acknowledge his absurdity in a comic that is both at once clever and humorous. 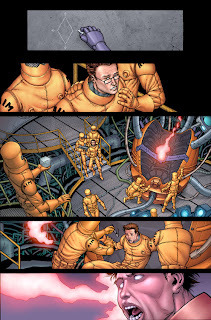 It should be noted, there are not in fact eleven people on the team Modok puts together, but the title is a reference to the film, "Ocean's 11," and it is sort of apt in that Modok puts together a rag-tag team of villains and reformed villains (who need cash and will go back to their wrong-doing ways for it) to perform a heist of a super-weapon known as the Hypernova. The thing is, a lot of the team have their own ulterior motives, and the double-crosses and reveals keep coming up till the last page of the book as we see almost everyone isn't quite dedicated to Modok and his cause. Fred Van Lente does a great job with this comic, as I often truly could not predict what would happen next to Modok and his band of miscreants. From the hilarious quips and scenarios to the way Lente clever designs the way the plot plays out, this is one fine comic that many probably overlooked because it wasn't a part of some major event and didn't feature any big-name characters. If you enjoy a good heist story, have a sense of humor, or just want to read a good comic, you should definetely pick this up. 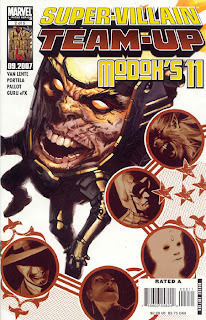 Super-Villain Team-Up: Modok's 11 (v. 11) if you want to have a good time.